Jet Wash Seal worked with pattern imprinted concrete for many years, and we think pattern imprinted concrete cleaning is extremely easy when you know what you’re doing. It just takes a pressure washer and a broom jet washing the surface at low pressure. And your driveway or patio will be good as new. Provided that you’ve been sealing it on a regular basis, you can clean it without loss of current sealer. One of the major benefits of cleaning is that the concrete itself never gets exposed to the elements and vehicle use. Because the material in the sealer wear out with constant use and lose its effectiveness, leaving the concrete susceptible to damage. The longer the concrete is left exposed to the elements, the deeper the damage. Cleaning can remove the harmful particles that may penetrate the sealer and damage the concrete. If you have pattern imprinted concrete just prepare to give it a top up coat every three to five years. You will know because it will start looking unsightly. Algae start to take root as the concrete lose its water-resistant coating. Oil stains start to penetrate into the concrete. If it looked after on a regular basis, pattern imprinted concrete keeps its strength and lustre. It doesn’t take lots of maintenance. We have seen pattern imprinted concrete that was installed twenty-five years ago and still look as good as new. It’s simple to take care of your pattern imprinted concrete as you don’t need many materials. However, preparation is key for any perfect job. Pressure washer: For an initial cleanup of any built-up dust or dirt. Oil Remover: For oil stains removal. Moss Clear: For algae or any green buildup upon the surface. Driveway Cleaner: For removal of all the pollutants and residue from car tires and exhaust. The preparation helps clear the pores of the concrete so the sealer can penetrate it properly. Furthermore, before pressure washing the driveway or patio cleaner can make life a lot easier. Use the power washer at low pressure on the surface of the pattern imprinted concrete cleaning the driveway or patio of any dirt, debris and algae with soap and water. Furthermore, add a fungicide and a power wash for a more powerful washing. Then, use clean water to wash off the dirt and let it dry. 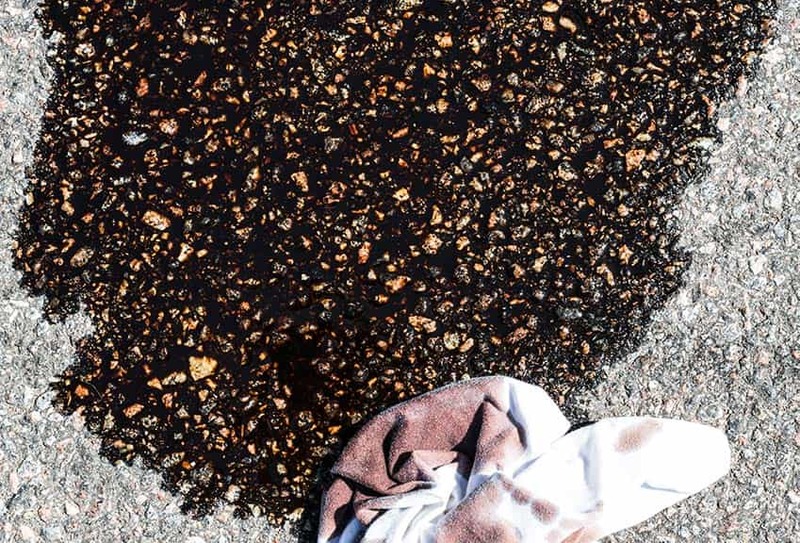 Apply a degreasing agent to remove oil spills or stains. Use the broom or a paint brush to apply the sealer on a dry surface. Ensure that the sealer doesn’t pool in the imprinted joints. Instead, apply several thin coats one after the other. Each coat building on the previous one. 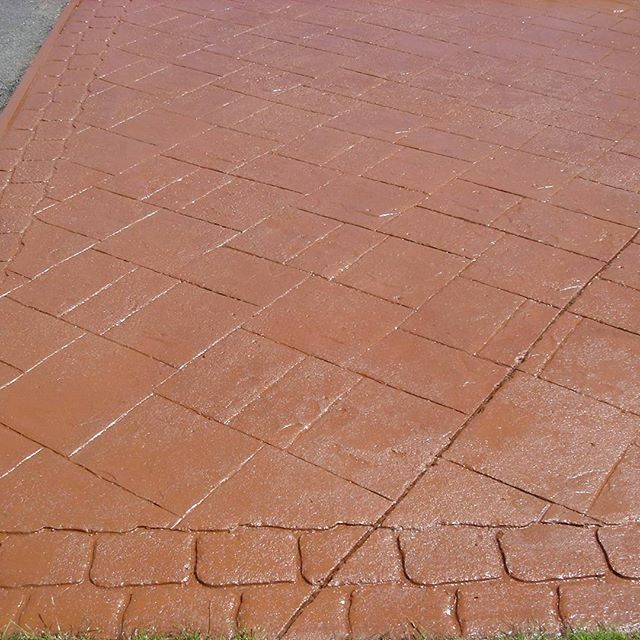 Leave the sealer to soak and absorbed into the surface of the concrete allow to dry before applying your next coat. The Final Coat of sealer is a great time to add anti-slip additive because the sealer can get slippery at this point. We recommend you don’t use the driveway for a few days after cleaning and resealing. Still have a concern? Contact us or Call, 01902 655 499 or 07754 405080 we’re glad to help.